Less than four years after graduating from Indiana State University, Ben Wagner is making his way through the ranks of professional baseball. 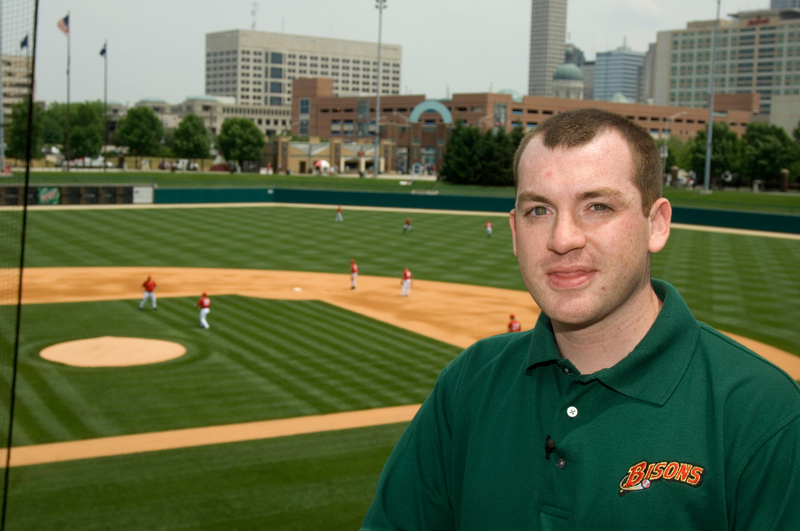 The New Paris native just completed his first season as play-by-play announcer for the Buffalo Bisons, the AAA affiliate of the Cleveland Indians. He previously spent three seasons with the Lakewood, N.J., Blue Claws. Shortly before his December 2003 graduation with a bachelorÃ¢â‚¬â„¢s degree in Radio-TV/Film, Wagner attended the baseball winter meetings where he landed a paid internship with the Blue Claws, part of the Philadelphia Phillies system. Less than a year later, he became lead announcer for the class A team. Wagner played baseball while growing up and became a Chicago Cubs fan. As a teenager, he got his first chance to combine his passions at WAWC-FM in Syracuse, Ind. Ã¢â‚¬Å“A guy at the radio station took me under his wing and said, Ã¢â‚¬ËœYou know, you could probably be pretty good at this if you went to the right university and had an opportunity to get experience.Ã¢â‚¬â„¢ ThatÃ¢â‚¬â„¢s one of the reasons I chose Indiana State,Ã¢â‚¬Â he said. As sports director of Indiana StateÃ¢â‚¬â„¢s WISU-FM, Wagner covered more than 400 sporting events, including menÃ¢â‚¬â„¢s and womenÃ¢â‚¬â„¢s basketball, football, volleyball, baseball, and softball. He did play-by-play of Terre Haute area high school sports on WSDM-FM. He also served as broadcast intern with the Office of Communications and Marketing, producing or co-producing several TV features that aired on ISU football and basketball coachesÃ¢â‚¬â„¢ shows. While at Indiana State, Wagner met his wife Megan, a Sullivan native, who was also a student worker in Communications and Marketing. Ã¢â‚¬Å“We worked closely together sometimes through a couple of years while we were there and then stayed in contact. I thought maybe I could talk her into being around the game as well,Ã¢â‚¬Â he said. The Wagners even had occasion to return to Indiana over the summer, since the BisonsÃ¢â‚¬â„¢ schedule included games against the Indianapolis Indians at Victory Field. Ã¢â‚¬Å“I have career goals as well. IÃ¢â‚¬â„¢d like to be a big league broadcaster. My professional goals are to attain the highest levels of professional broadcasting that I can,Ã¢â‚¬Â he said. Less than four years after graduating from Indiana State University, Ben Wagner is making his way through the ranks of professional baseball. 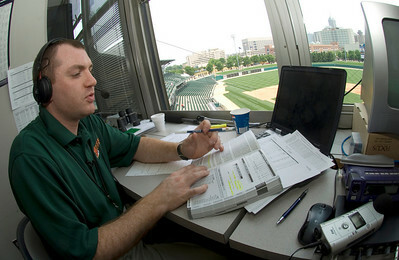 The New Paris native just completed his first season as play-by-play announcer for the Buffalo Bisons, the AAA affiliate of the Cleveland Indians.